On a stressful day, do you ever need to take a minute to calm down? That’s what the Living Room offers. The safe, non-judgmental space at Metropolitan’s Southwest Chicago Center provides a non-clinical alternative to the emergency room for guests experiencing a mental health crisis. 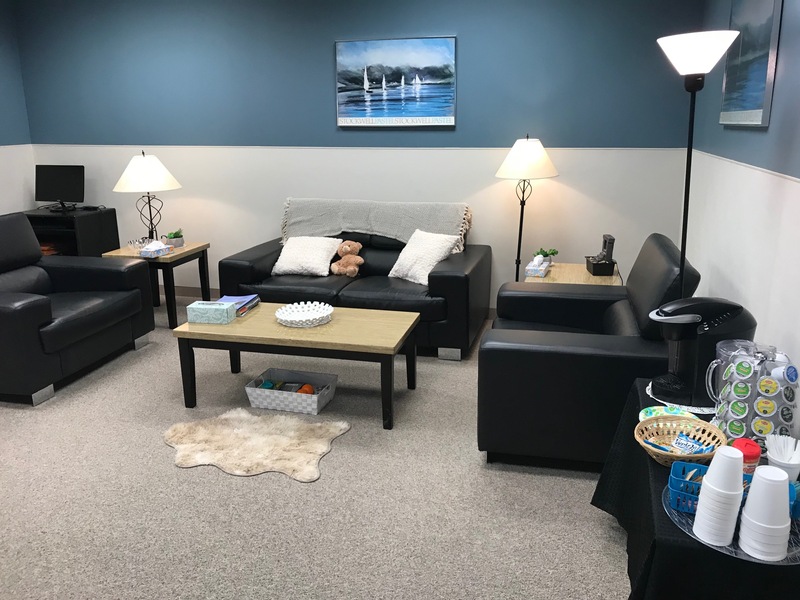 Guests are greeted not by psychiatrists or waiting rooms, which can be intimidating, but by Metropolitan Southwest’s Peer Support Specialists, Naoma Dye and Kerry Ryan, who offer non-clinical support. These unique staff members draw on their own lived experience of mental health issues to be there for guests who may just need someone to talk to about their own mental health. “Anyone is welcome,” adds Kerry. 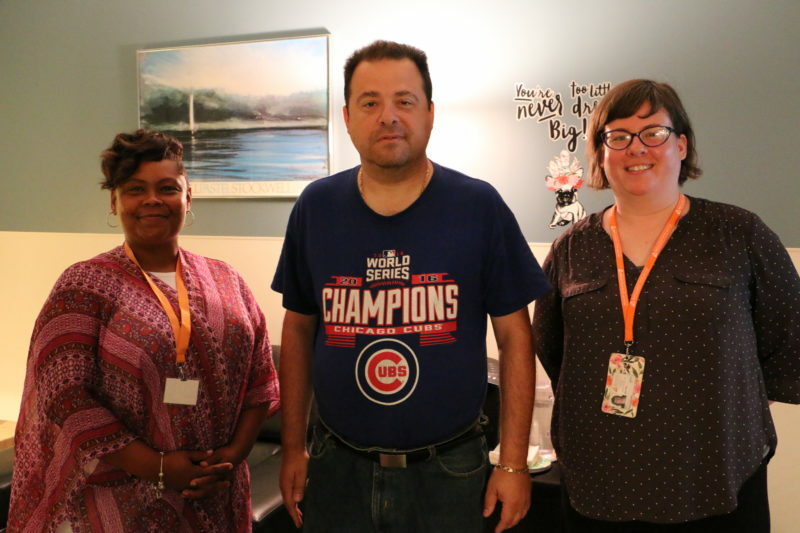 Naoma describes Peer Support Specialists as “relatable;” when guests come in, they’re able to open up to Naoma and Kerry, who have experienced – and recovered from – the symptoms they’re having. They’re both ready for anything, in the sense that each guest comes from a different place, and are ready to support guests in whatever they need at that time. Once guests settle in, Naoma or Kerry get an idea of why they’re at the Living Room and what they want to talk about. After a brief mental health assessment to understand where guests are emotionally, they’ll give guests room to talk, or offer coloring books or toys if they’re not ready to talk right away. A licensed therapist is available to provide additional support. The Living Room offers free mental health screenings, and refers guests to other resources as needed. Services are free, with no insurance required. What advice would our Peer Support Specialists give to someone considering trying the Living Room?